There are lots of rides at Magic Kingdom with something to please everyone. I know that everyone's opinion of the best rides is going to be different which is why I'm giving you a list of our favourite rides. Learn what I think are the best rides, the Hubby's favourite, LP & BP's favourites too. This way you'll get to hear from someone who doesn't like the big rides (me), a thrill-seeker (Hubby), a younger thrill-seeker (LP) and a teen thrill-seeker (BP). I do not like the roller-coasters. I've been on one or two and tolerate some but I don't particularly enjoy them. I'm not a thrill-seeker, I enjoy the quiet rides, the ones where I can learn or marvel at animatronics. I like listening to the music or watching the movies in the shows. The PeopleMover is one of my favourite rides, not because it's awesome (even though it is!) but because of nostalgia. 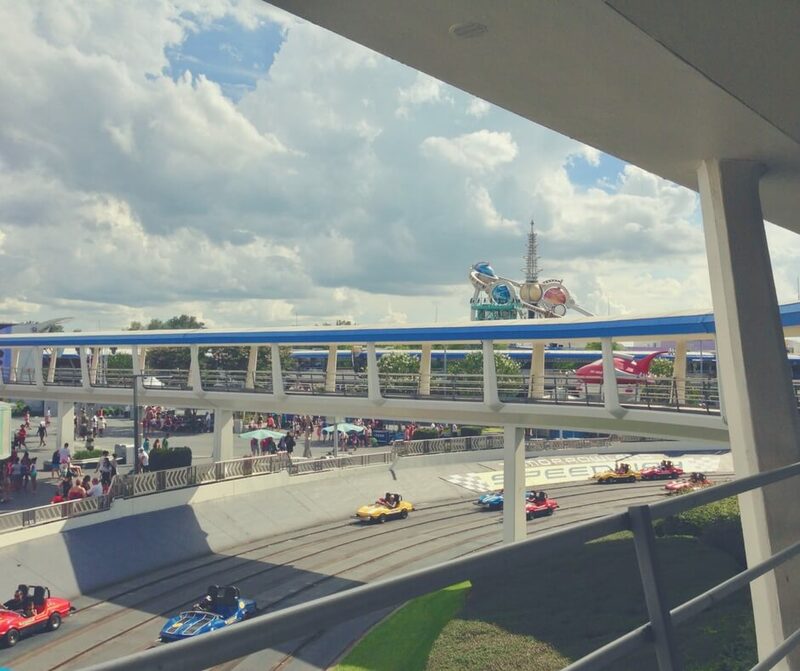 Look around at Speedway and Astro Orbiter (in the background) as you speed along the Peoplemover! When I think of Magic Kingdom the PeopleMover is what I think of. Travelling past Cinderella's Castle as the Hubby and BP play spot the landmark and LP marvels at everything he can see. The last time we were there BP was 10 years old, not a teenager and so not really prone to tantrums. LP was 6 years old and oh-so-cute, he was enthusiastic about everything and was SO happy just to be there. I have lost count of the number of times we have ridden the PeopleMover but I have not lost each and every memory. I remember the Hubby filming us in "night mode" using the video camera when LP was just a baby. I remember BP being amazed that we got to go inside Buzz Lightyear's Space Ranger Spin without actually riding it. I remember shrieking when I thought we were riding Space Mountain - that was the first time I had ever been there and panicked! The PeopleMover is an essential part of the holiday and I cannot wait to ride it again. Top tip: Be sure to have your camera/phone to hand. You speed past the Castle, and get some great views of the park. It may be difficult to snap a good photo but you can try! Now I know I said I don't like the roller-coasters but Splash Mountain is a little different. With log-flume type rides I tend to enjoy them, as much as is possible when you don't like sudden drops! The thing is although Splash Mountain has sudden drops because you're soaked with water at the bottom of the drop and are laughing it's difficult to continue being afraid. Of course Splash Mountain isn't for everyone, you have to be at least 40 inches (102cm) to ride so the little ones in your party will have to skip it, but for those that are tall enough it's a fun ride. 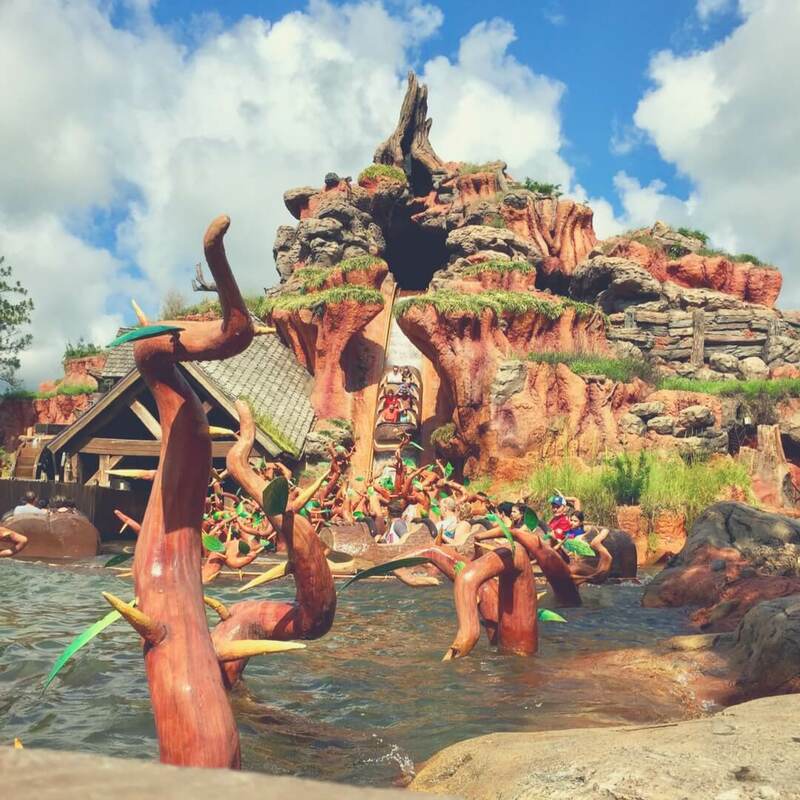 "Hop inside a hollowed-out log and gently drift past rocky caves, vine-strewn swamps and sun-drenched meadows as you accompany happy-go-lucky Br’er Rabbit from his home in the Briar Patch on a search for his "laughing place." But be warned: Br’er Bear and Br’er Fox are in hot pursuit of the roaming rabbit and they’ll do anything they can to catch him!" Top tip: I'd recommend booking your fastpass+ for Splash Mountain, it gets busy as soon as it opens. If it's a ride you definitely want to go on then you'll need a fastpass for it. You may still end up waiting a little but it won't be hours waiting. 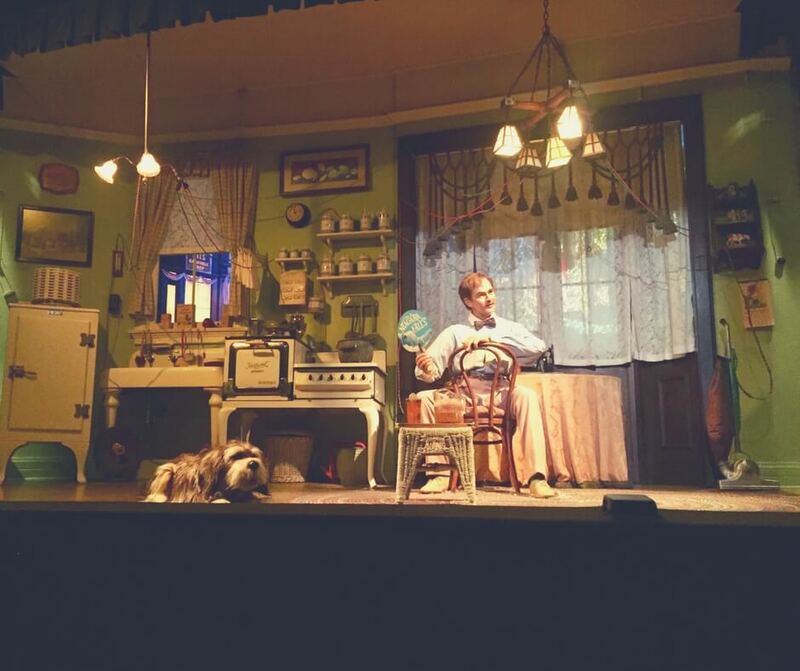 The reason Carousel of Progress is in my top 3 is because of the rest it provides. When you enter the rotating theatre you are out of the Florida heat in a wonderful air conditioned area with seats so you can get off your feet. Again I've lost count of how many times we've been on Carousel of Progress but I have fond memories. I always look forward to riding and more often than not there's not a queue. We always leave singing the song and smiling too - a sign of a great ride! Top tip: Try to save going on Carousel of Progress until you need a sit down. The show is 21 minutes long so you get a nice sit down in an air conditioned room - do it when you'll appreciate it most! The Hubby is the ultimate thrill-seeker, he loves roller-coasters and anything with sudden drops. The first time he ever went in a plane he jumped out of it (!) and loves going on the biggest rides he can find. A roller-coaster in the dark. I have never been on Space Mountain, I have seen it from Spaceship Earth and I have been inside to wait for the boys to emerge after riding but I have never ridden it myself. It's definitely not the kind of ride I would like. But the Hubby loves it, especially now that both boys can ride. The last time we visited he loved taking LP on it and I think because Hubby loved it so much so did LP. 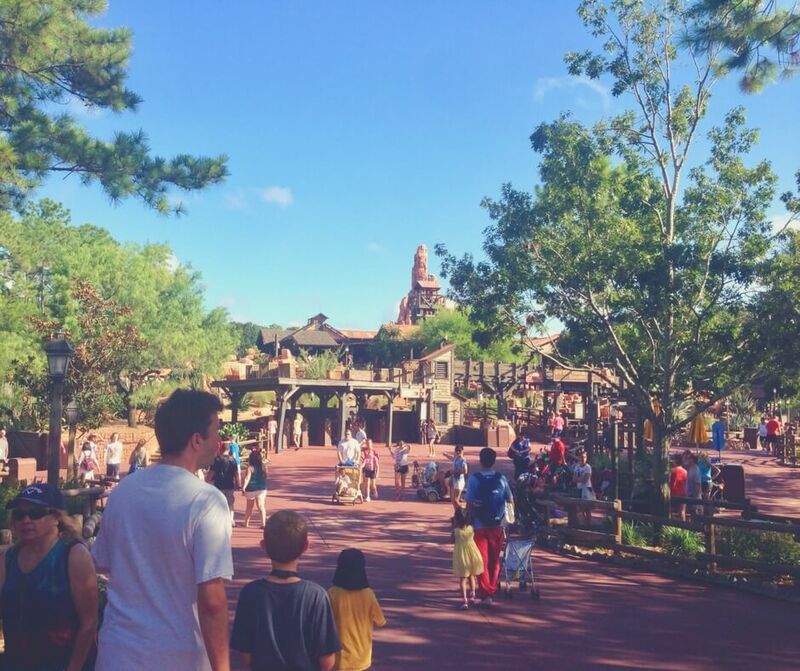 Top tip: Either arrive at rope-drop (first thing in the morning) or book your Fastpass+. Another coaster. Thunder Mountain is a runaway mine train and can get a little bumpy. It is one of Hubby's favourites because it's one of the roller-coasters and the best way to get that out-of-your-seat thrill. I do ride Thunder Mountain, it's not one of my favourites because of the slight drops but it is fun. I do like the theme of Thunder Mountain, travelling over the rails through the mountains. I tend to concentrate on the theming rather than the ride itself, whereas the Hubby loves the drops and encourages the boys to raise their arms as they ride. Top tip: Book your Fastpass+. If you're a nervous traveller like me then perhaps try to concentrate on the theming of it rather than the drops that make your tummy do somersaults! We have already mentioned Splash Mountain but it is a good ride. LP is 9 years old (today in fact!) and the last time he visited Magic Kingdom he was 6. With that in mind we went over the rides and he tried to remember what they were like. He likes coasters, but that's not all he likes. I have to say this surprised me, I expected him to say Big Thunder Mountain or Space Mountain but he said this was his favourite out of the three. 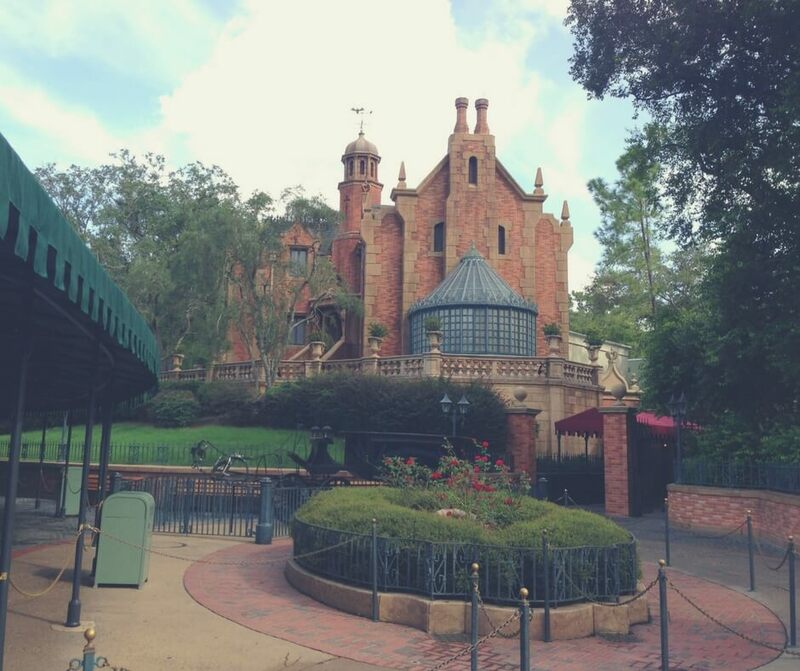 Haunted Mansion is on my list of favourites, below the ones I mentioned. It's a great way to have a rest while still enjoying the park and it's really entertaining. LP said he liked watching the ghosts and listening to the Ghost Host. Top tip: Because Haunted Mansion is near the back of the park it doesn't get busy until later. If you definitely want to ride try heading there first thing in the morning, you won't need to use a Fastpass this way. I have to say I wasn't that surprised by this choice because we rode it lots of times. It is basically a shooter type ride where you have to shoot at targets while the 'spaceship' you're in moves along the track. It spins once or twice but it's not a ride that spins constantly (it would make me sick if it did!) and the targets are recognisable from the Toy Story movie. Top tip: Use Fastpass+. This ride gets super busy, even with a fastpass you may end up with a wait. It's very popular with youngsters so be sure to book. At 13 years old BP likes the bigger rides, but he does enjoy some smaller ones too. He's not afraid to enjoy himself in Walt Disney World, despite his age, and is really looking forward to going back. Again he surprised me with some of his choices. I could've guess BP would choose this one, it's a coaster and he loves them. Disneyland is supposed to be the happiest place on Earth and I have to say when I'm riding around in that crazy Space Mountain ride I'm happy. I'm surprised again, but this means that all of us have Splash Mountain in our top 3 rides. It's so much fun, and being splashed with cool water while in the Florida sun is always a relief. There are so many people that wear ponchos on Splash Mountain and I never understand why. Being Brits and not used to the intense heat we are thankful to get soaked, walking around in wet clothes is never really an issue because the sun dries the clothes in no time! Okay this one really surprised me, I didn't think it would be in BP's top 3 rides. But then again it is fun and the boys can compete so I can understand it. Your little ones will love it, your older ones will love (even if in secret! ), and you will love it. Definitely one to ride! There are lots of rides at Magic Kingdom and to be honest we enjoy all of them. The slower rides are great for a rest or just to get away from the hectic-ness of the park and the roller-coasters are great to keep the thrill-seekers in your party happy. 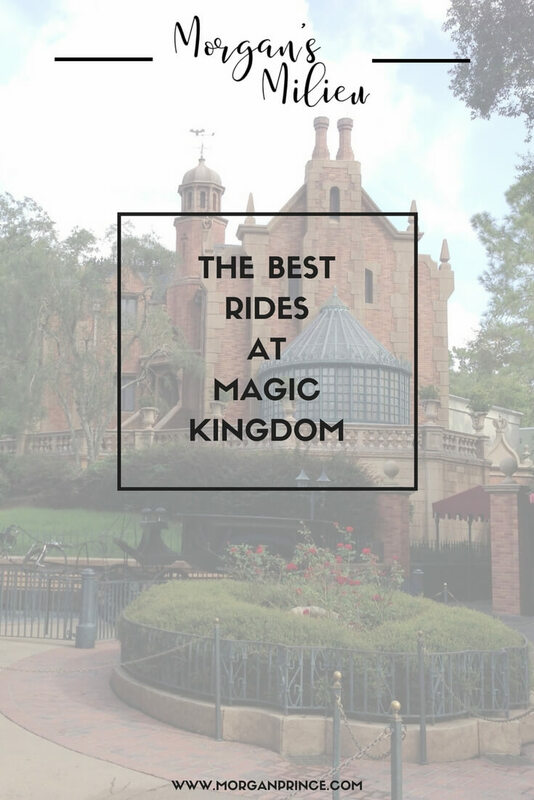 Do you have a favourite ride in Magic Kingdom? Grab your printable list of the BEST rest spots in Walt Disney World by entering your email address below!